We learnt some interesting news at the Taiwan Excellence ‘Excellent Lifestyles’ press conference in New Delhi yesterday, where representatives from MSI, BenQ, Silicon Power, and D-Link spoke about their plans in India, as a cross section for the 24 company strong Taiwanese consortium. 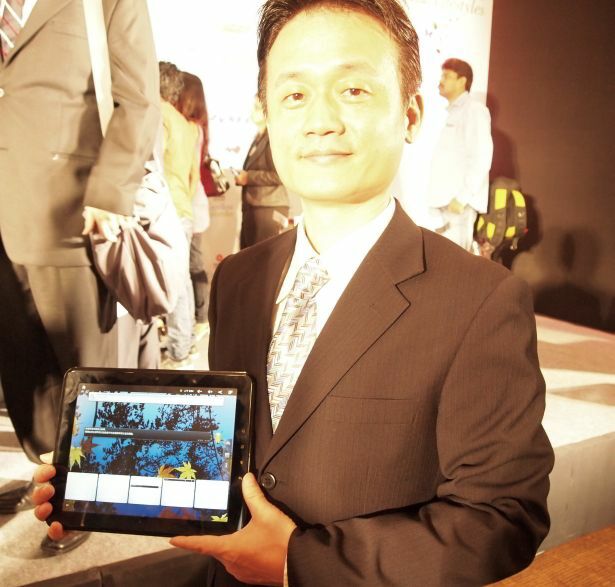 Eric Kuo, General Manager of MSI Computer India, held in his hands an Android 2.3 tablet during his presentation, which we were told was the WindPad 100A – a version first seen at Computex this year. We later learnt the device, along with the Windows-based WindPad 110W, and the low-cost also Gingerbread-based Enjoy 10 and 7 tablets will be making their way into India by July. 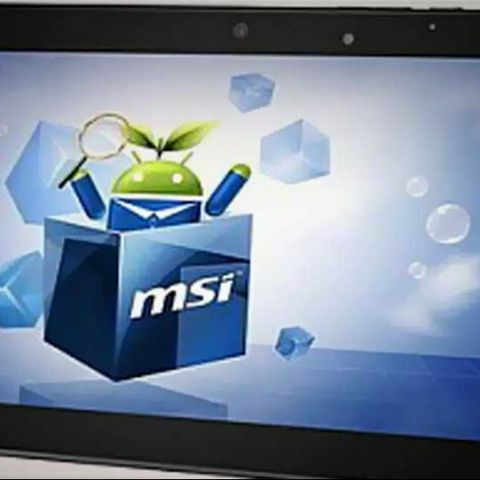 MSI has apparently chosen Android 2.3 because it prefers to offer its customers a wider range of compatible applications, more than Honeycomb, as well as greater stability. Unfortunately however, this means the three Android Gingerbread tablets will not have access to the Android Market, but instead, should have an APK installer onboard to bypass it. Frankly however, this sentiment is almost understandable in the case of the low-cost tablets, but MSI should have included Honeycomb in its top-end version, the WindPad 100A. The WindPad 100A we saw was a slim device with a brushed metal back panel, bearing an impressive 1280x800 IPS but smudge-loving display onboard, and a wide range of ports, from USB to HDMI and 3.5mm audio. It also bears a 5MP rear camera, and a 2MP front camera, and is powered by the Honeycomb-loving Tegra 2 processor and a whole gigabyte of DDR2 RAM. 16/32GB options will apparently be available, while microSD expansion up to 32GB is also part of the deal. Both Wi-Fi and Wi-Fi 3G options will also be available. The WindPad 110W sports similar specifications, bearing Intel Atom Z530 1.6GHz processor instead (1-core 2 threads), 2GB of DDR2 RAM, a 32GB SSD, and a 4200 mAH battery. Both WindPad 100A and 110W will come with integrated stereo speakers and SRS PC Sound wrap around sound, while the 110W has a range of bundled apps onboard, such as the Smart Tracker control system, MSI Easy Face biometric software, MSI EasyViewer photo manager, and and Office Starter 2010. Expect them to be priced around the Rs. 30K range. The WindPad Enjoy 10 and Enjoy 7 however are low cost devices, expected to cost around Rs. 15K and Rs. 10K respectively, if their announced USD MSRPs of $299 and $199 are anything to go by. 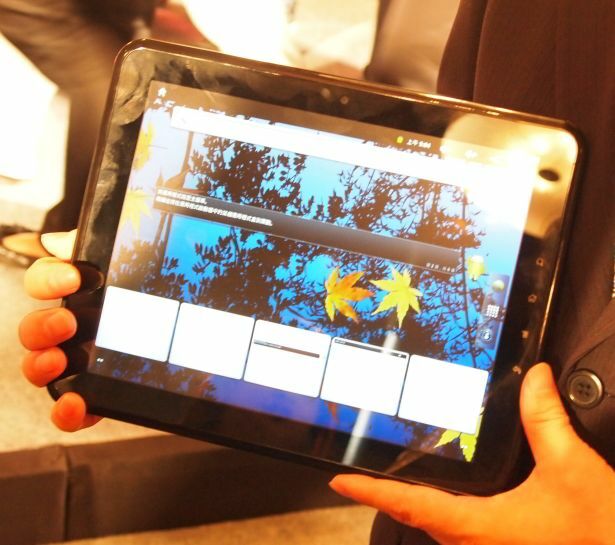 The Gingerbread tablets will offer lower-end specifications compared to their full-fledged brethren. The Enjoy 10 will have a 1.2GHz ARM Cortex A8 processor powering it, a 10-inch 1024 x 768 screen, 4GB of storage, 512MB of RAM, a 27.3WHr battery, and two (front and rear) 2MP cameras, supposedly capable of 720p HD recording. It is supposedly able to playback 1080p video. The Enjoy 7, has a 7-inch 800 x 480 pixels screen, and a 17.3WHr battery, and the rest of the specs remain the same. We aren’t too sure just how accepted Gingerbread will be, but at a sufficiently low price point, it might just work. We’ll have to wait and see just how good MSI’s overall implementation is.